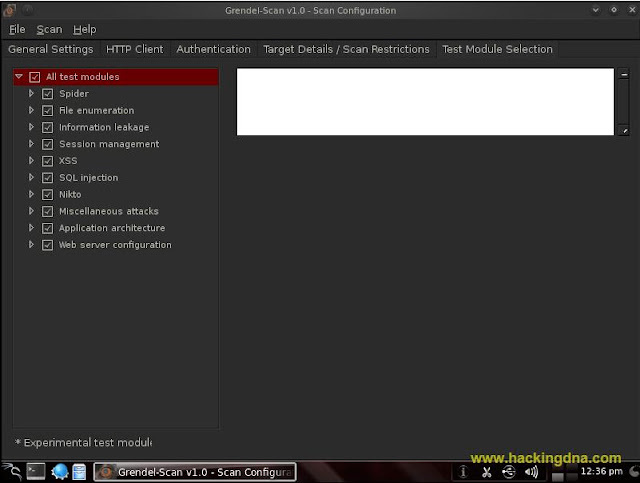 Grendel-Scan is an open-source web application security testing tool. 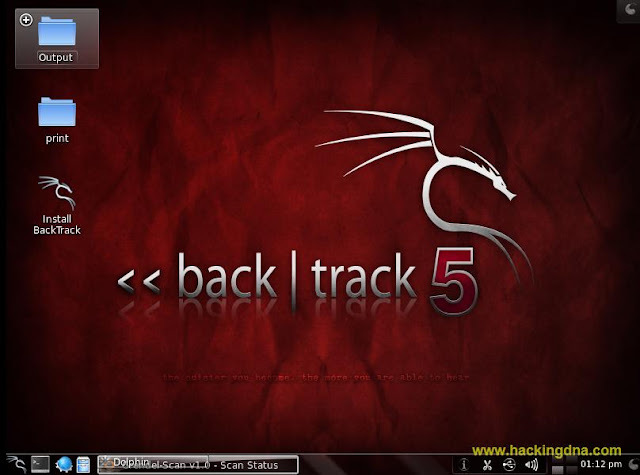 It has automated testing module for detecting common web application vulnerabilities, and features geared at aiding manual penetration tests. Enter the base URL : enter the target address which you have to scan . Click On the Add button . In this step you have to output directory . Click on All Test Modules Selection. Now time to start the Scan . To start scan goto Scan > Scan . Now i am going to terminate the scan . 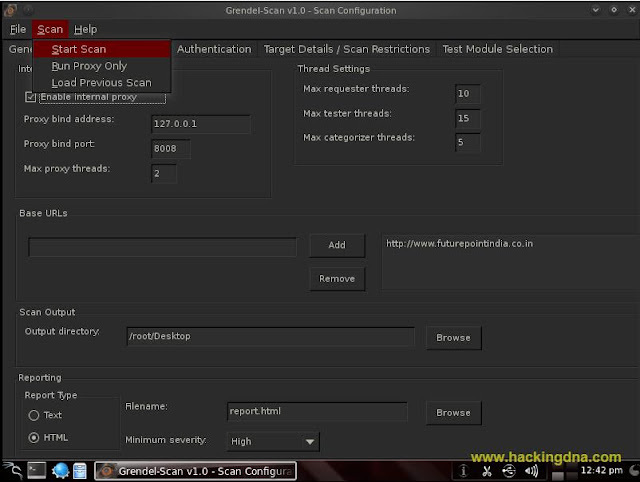 To terminate the scan , click on the terminate scan button and click on yes button . It automatically generate the report . 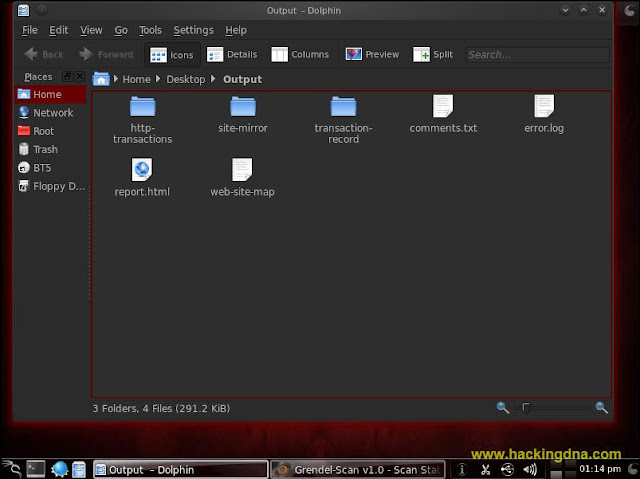 Below image shows teh output directory . Inside this directory , you will get your report . Here you get your report.html file and other files . what is theme name backtrack 5?